For many buildings, the parking garage is the “front door” of the facility. As the first point-of-call for a visitor to any public, private or commercial building, it is important to create a positive impression with your entrance. Read how using urethane technology in your parking garage can help you create this experience and more. Because urethane deck coatings are resinous, they are naturally flexible and resilient, allowing them to withstand high weight and impact. Urethane decking systems are abrasion and wear resistant, which will help you save time and money on costly repairs and replacements inevitably required by less durable products like sealers and paint. Shutdown periods and unavailable space in high-traffic garages can have a major effect on your business. Cars radiate heat, even after they’re turned off. The heat radiating from a running or recently running engine can be extremely taxing to the concrete surface of a parking garage. This heat is absorbed by the surface, expanding the aggregate and causing distress within the concrete. This typically affects underground parking garages because they house trapped heat due to inadequate ventilation. Installing a urethane decking system that protects against temperature cycling prevents damage and cracking, ensuring a safer surface. This is especially so in areas such as exterior ramps and decks where the surface is also exposed to the sun as well as hot and cold weather. Surfaces of parking garages are often exposed to oils and grease from cars which can cause permanent discoloration and rapid degradation of the concrete. Because of the corrosive elements found in these oils, it is important to find a long-term solution that is both stain and chemical resistant. Appearance matters to visitors, so maintaining the aesthetics of your parking garage is key. It is inevitable for parking garages to come into contact with water, both inside and out, from rain or snow. In most cases, this moisture has dissolved chlorides that once absorbed into the concrete surface can wreak havoc on embedded reinforcing steel. By installing a urethane-based waterproof membrane, water is unable to penetrate the surface and absorb into the concrete, protecting your garage from costly structural deterioration. A waterproof surface provides a safer environment for visitors and employees by maintaining the integrity of your structure. Stonhard works with you directly from product selection through installation.  Stonhard’s Stondeck traffic coating solutions use urethane technology that is specially formulated for vehicular traffic in demanding environments like parking and pedestrian structures. Stondeck can be customized for increased durability, rigidity, moisture resistance, slip resistance and UV stability. Stondeck, a superior alternative to sealers and paint, comes in eight standard colors. Use our interactive parking structures color application on our website to see a range of options. For more information or to set up a site visit, Contact a local Territory Manager or Architectural/Engineering representative here.